Chris Gerber grew up in Hamilton, Montana where his father owns a transmission rebuilding shop. This is where his love for cars started and ultimately led him to where he is today. Spending all his free time helping out at his father’s shop led him to make the decision to attend the Denver Automotive and Diesel College. In 2003, Chris graduated with honors and earned his associate’s degree in Applied Sciences. Chris then got accepted to the BMW STEP program in Fremont, California where he exclusively studied BMW systems. In 2005, Chris was offered a job at Leith BMW in Raleigh, North Carolina which he happily accepted after he completed the STEP program. He worked with Leith for 8 years after which he accepted a position at Flow MINI of Raleigh. In the two years that Chris worked at Flow, he broadened his knowledge and skill set working on MINI systems. Chris was presented with an offer he couldn’t refuse, which led him to partner in opening up a shop of his own called Luxury Auto Service. That later merged with EuroMotors. Wanting to be his own boss and to be able to offer his clients excellent service, for a competitive price, ultimately led him to opening G3 Automotive Solutions. In October 2015, the business has grown so much that Chris decided it was time to change locations as he needed an even larger shop. He moved from the Glenwood Ave to the Duraleigh Road location. At G3 Automotive Solutions, Chris is committed to offering the best car care with years of trained expertise for a competitive price. 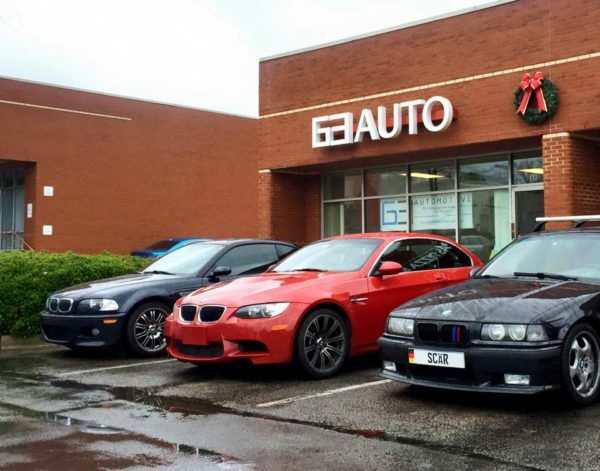 Chris wants to see G3 grow to be the #1 local BMW and MINI car care shop in the RTP area.